We offer recipes for home masks, which allow to reduce wrinkles, prevent their appearance and improve the skin condition. Important: Before applying the mask on the skin, wash the face with soap to ensure that the skin is clean. Wipe face with a lotion or any alcohol-containing liquid to remove harmful microflora from the skin. Take a horizontal position and apply the prepared mask to your face. After 20 minutes, wash off the mask with water without soap. To prevent wrinkles: 1 yolk, 1/2 teaspoon of honey and 1 teaspoon of glycerin, 1 teaspoon of honey, 1 beaten egg white, 1 tablespoon of oatmeal. The mask is applied to the pre-washed face for 20 minutes. Wash off with warm water, 100 grams of honey melt on the fire, add 2 tablespoons of alcohol and water and carefully grind. The duration of the mask is 10 minutes. Home mask for narrowing the pores with a fading fat skin: mix egg white, a few drops of lemon juice, a teaspoon of honey and a few drops of olive (almond) oil. Cleanse the face, apply the mixture and lie for about 20 minutes (you can apply on top several more times, when the lower layer dries). Wash off with warm water. The skin is tightened, toned and acquires a pleasant color. Home nourishing mask against wrinkles: pulp of aloe, 1 yolk, 3 tbsp. dry. milk, 1 tsp. honey. Mask as a thick sour cream, apply for 20 minutes, rinse and wipe with ice cubes. The mask can be stored in the refrigerator. Rejuvenating the egg-yolk mask from fine wrinkles: take 1 yolk and a half teaspoon of honey. Mix the yolk with honey and apply this mixture on the face, rinse after 5 minutes, with cool water. Honey is not recommended for capillary mesh. Egg-and-tea mask. To grate the egg yolk with 1 tsp. vegetable oil, add a few drops of lemon juice and a little freshly brewed tea (preferably green). The mask should be applied to the face for 15 minutes, then rinse with water or herbal infusion. It will improve blood circulation, moisturize the skin and smooth wrinkles. Herbal tea: to the flower baskets of chamomile (2 items of a spoon) add lavender (2 tablespoons) and 1 tbsp. spoon of sage. All plants are finely chopped in a porcelain mortar. Fill with steep boiling water, to get a pretty thick gruel. Close it for 2-3 minutes with a lid so that the herbs are well steamed, and a warm mass is applied to the face and neck, trying not to fall for ever. Cover the mask with a napkin and hold for 15-20 minutes. For centuries, apply cotton wool soaked in a sage broth, arnica or tea, which also helps to smooth out wrinkles and eye shine. Lotion of hops: anti-withering skin helps the lotions from the decoction of cones of hop, broth of oats, infusion of birch leaves and plantain. Broth: pour 1 cup boiling water 1 tbsp. l. raw materials, heat on low heat for 5 minutes, insist 15 minutes and strain. Infusion: pour 1 cup boiling water 1 tbsp. raw materials and insist 30 min. Two tablespoons of dry crushed marigold inflorescences are placed in enameled dishes, add a glass of water, cover the dishes with a lid and heat on a water bath for 15 minutes. Then cool to room temperature and after 45 minutes strain, wringing out the remaining mass. Add boiled water, bringing the volume of liquid to 200 ml. The infusion is stored in the refrigerator for no more than 2 days. It is used for rubbing and compressing with oily, porous, coarse skin, with the formation of acne, to prevent the appearance of wrinkles. Gadgets and rubbing reduce the pores on the face, reduce fat loss, eliminate acne. For lotions gauze, folded in 2-3 layers, moisten with calendula infusion, lightly squeeze and put on face for 10 minutes. Repeat the procedure three times. Flower mix: for dry skin, one of the simplest recipes of the mask is: in equal parts by volume, take lime flowers, chamomile flowers, peppermint leaves, rose petals or rosehips. Pre-shredded plants are poured with boiling water in a ratio of 1: 2 or 1: 3. After boiling for 1-2 minutes, the broth is cooled, and in the form of a compress in a warm form is applied to a clean face, laying between the layers of gauze or bandages. Keep the mask on your face for 15-20 minutes, then wash your face with warm water. Mask for oily skin can be prepared using the same technology. Here is its composition: the herb of St. John's wort, the leaves of sorrel, the flower baskets of marigold, the leaves of the mother-and-stepmother. Masks can be replaced and compresses from the thick decoctions of these charges. And besides this you can use against wilting the skin with lotions, rubbing, decoctions of hop cones, aloe juice, oats, althea root, birch leaves and plantain. Infusions or decoctions of mint can be used for compresses on dry or normal skin. Apply a hot compress to the cleansed face and neck for 3-5 minutes before a massage or mask. To do this, fold the napkin into 2-3 layers, moisten in mint broth and quickly put it to the face, so that the middle of the compress is on the chin, and the edges cover the cheeks. Compress causes the expansion of blood vessels and pores, blood flow to the skin, relaxes muscles, helps to remove dust and dead cells. With extended vessels of the skin, a hot compress (38-42 °) can not be done. Cold compress (15-18 °) is applied for 5-10 minutes. It tones up the skin, improves complexion, narrows blood vessels, reduces pores, reduces fat and sweating. It is good to alternate hot and cold compresses. They are especially effective for flaccid skin of the face and neck. Linden infusion for acne, wrinkles, oily skin: Filtered with lime-colored infusions rub face with acne, wrinkles, oily skin. The procedure softens and cleanses the skin, relieves irritation. Particularly useful after intense sweating and stays in a dusty environment. Infusion of linden flowers and green raspberry leaves to fight wrinkles: It is useful to wash the face (especially in summer) with water mixed with infusion of linden flowers, green raspberry leaves (on a tablespoon into a glass of boiling water). If this infusion to freeze, then rubbing with the received ice very much helps to fight wrinkles. Infusion of oak bark and linden to wipe sluggish, wrinkled skin: Mix a teaspoon of chopped oak bark with a tablespoon of lime flowers, pour 1.5-2 cups of boiling water, insist 2 hours, strain. Infusion is recommended to wipe in the morning and evening instead of washing flabby, flabby, prone to the formation of wrinkles skin. For evening cleansing of fading skin, toning lotion is applied: to 100 ml of herb infusion, St. John's wort adds 10 ml of 70% alcohol. You can make this lotion: add a teaspoon of cologne to the glass. Lotion of elecampane. With aging, fading skin, pour 0.5 liters of white dry wine with a handful of freshly crushed elecampane root and boil over low heat for 15 minutes. The received lotion should be wiped face 2 times a day. Strawberry or strawberry mask for elasticity: Multiple berries mash, apply juice or gruel to clean skin for 15-20 minutes. Rinse your face with cold water. The mask well vitaminizes the skin, tones up, gives freshness, velvety. To remove wrinkles: mix 1 tbsp. l. leaves raspberries and linden flowers, brew 2 cups of boiling water and insist, wrapped, 30 minutes. Infusion pour into special molds and put in the freezer. Ice cubes infuse the skin of the face for the night. One tablespoon (with top) of a banana slurry is mixed with a yolk of a hen's egg, sour cream and honey. Apply the mixture on face for 15-20 minutes. Course - 20 procedures (2-3 times a week). Strawberry juice lotion for wrinkled face skin: when wrinkled skin of the face it can be wiped with liquid prepared from 1/4 cup strawberry juice, 0.5 grams of salicylic acid (fine powder) and a glass of 45% alcohol (can be added to lotion 1 / 4 glasses of cucumber juice). Wipe your face every evening for 20-30 days. With dry skin, replace alcohol with wine. Fruit cream for dry, fading skin is prepared from 2 tablespoons of mashed strawberry berries, mixed with 2-3 tablespoons of melted bone marrow, a teaspoon of honey and a teaspoon of vegetable oil. Rinse the mixture, add a drop of tablespoon of camphor alcohol. Mask with oily skin and wrinkles: with oily skin helps mask from a mixture of mashed berries raspberries and squirrel eggs. Add 2 teaspoons of pulp to whipped into a thick foam. Apply to the face with a smeared juice for 15-20 minutes. Rinse off with cold water. This mask is also recommended if there are wrinkles on the face. For youth and freshness of the skin: mix 1 tbsp. l. cottage cheese and 1 tsp. sea ​​salt and apply the mixture on the face for 15-20 minutes, then rinse with warm water and rinse your face with cold water. Do 1-2 times a day. Cottage cheese and sour cream mask. Mix 1 tablespoon of cottage cheese, 2 tablespoons of sour cream and a pinch of salt. Apply weight for 15-20 minutes. Remove the mask with a cotton swab dipped in cold milk. This mask works well against wrinkles. Frozen watermelon juice to care for an aging face: wipe face with this cube, leave for 10 minutes as a mask, then wash.
From the infusion of mint, you can prepare ice cubes and wipe them with dry skin of the face, neck, chest in the morning. This procedure tones up the face, smoothes wrinkles, removes irritation and fatigue. Your skin will also like frozen cubes of decoction of chamomile, calendula. Home mask from wrinkles on herbs with blue clay: take 2 teaspoons of lavender, chamomile, lime-colored, sage and boil to boil to get a thick mushy mass, let it brew for 10 minutes, mix with blue clay to consistency of liquid sour cream. The resulting composition is divided into 2 parts, one of which is cooled in a refrigerator, the other is heated in a water bath. Both parts spread on the principle of a sandwich on gauze. Alternately apply on face for 5 minutes. Eyes should be protected with cotton swabs soaked in a lipstick infusion. The procedure should be done once a week. Rejuvenating mask "Cleopatra" from clay, sour cream, lemon and honey: clay, sour cream, lemon juice and honey mixed in equal parts. Keep on the face for 15-20 minutes, rinse with warm water and then with cold water. Refreshes, whitens, smoothes wrinkles. Do 2 times a week. Attention! Honey is not recommended for capillary mesh! - 1 tbsp. l. honey mixed with 1 tbsp. l. fiber and 2 tbsp. l. milk. - honey (2 tablespoons) mixed with 2 tbsp. l. flour and 1 egg whites, apply to the face with a flat brush and keep until completely dry, then wash off - first with hot and then with cold water. This mask nourishes and tones, but often it should not be done. - 2 tbsp. l. honey mixed with 1 tbsp. l. very strong tea and 2 tbsp. l. crushed oat flakes, add water until a more or less thick consistency, and all slightly warmed by steaming. The received warm weight to put on the face a thick layer, to cover with a paper napkin, and from above with a towel. Hold for 20 minutes. Homemade salt mask with honey for pale skin of the face (except for skin with vascular asterisks): 1 tsp. honey + 1 tsp. salt mix until white foam and apply on face. Keep for at least 20 minutes. After such 20-THI minute mask the skin is leveled, cleared, pores are tightened. Do not more than 3 times a week. The course is designed for 3 weeks, i.е. you need to do 9-10 masks. Prevention of wrinkles. Wax 39 grams, honey 70 grams, onion juice 30 grams, white bulb onion juice 30 grams, the mixture is heated, mixed well, for 10-15 minutes to prevent wrinkles. Mask from wrinkles. 20 grams of grated pollen in a mortar, 50 grams of olive oil, 50 grams of chopped mineral of hum, 200 grams of bee honey to knead to a mushy state, allow to stand for one hour. Apply mask to face for 20 minutes once or twice a week. Honey lotion for oily aging skin. For oily aging skin, you should prepare a lotion: 1 tablespoon of honey mixed with 1 teaspoon of vinegar and 50 grams of cologne. Dilute with 1 glass of water. Shake before consumption. Apply 2 times a week. Take a teaspoon of honey, warm milk, potato starch, salt and mix until the formation of gruel. The mixture is applied to the face with a cotton swab, a layer after the layer, until the gruel is consumed. After 20-25 minutes wash your face first with a warm, then cool water. It is recommended for oily skin with enlarged pores and wrinkles. Smoothes and brightens the skin. Equal parts of grated onions and honey mixed with fresh milk, put on gruel on face. Half an hour later rinse with chamomile infusion. It is recommended for aging face skin. Grind fresh mint leaves in an mash in an equal proportion with liquid honey and put on the face. This mask is recommended for dry, aging skin. Mask of grape juice and raw milk for wrinkled skin: mix a quarter of a glass of grape juice with the same amount of raw milk. In this liquid, moisten a layer of cotton wool and put it on your face, covering it with a towel. Remove after 15-20 minutes, slightly dry the skin and apply cream. The mask is recommended for wrinkled skin. 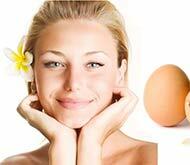 Mask of grape juice and eggs for oily wrinkled skin: with oily wrinkled skin it is useful after lubricating the face with the juice of the grape to make the following mask: add 2 teaspoons of the pulp to the whipped egg whites. After 15-20 minutes, wash off the mask with cold water. Grapefruit is an excellent remedy for wrinkles: mix the juice or pulp of grapefruit with a teaspoon of sour cream (or thick sour milk, thrown over the strainer), a teaspoon of carrot juice and a tablespoon of rice flour. Apply the mixture on face, neck, chest for 30 minutes. Then remove the mask, wash the skin with water and grease the grapefruit juice, allowing it to dry. This mask is recommended to be done 2 times a week for a month. Mask against wrinkles from grapefruit and rice flour: A tablespoon of rice flour, prepared from finely crushed (in a coffee grinder) and sifted rice, mix with a tablespoon of yogurt and 2 tablespoons of grapefruit juice. The mask smoothes wrinkles and prevents their appearance. Recommended for all skin types. Toning mask for dry and aging skin from apricot juice and semolina: Two tablespoons of warm semolina porridge cooked on milk to a consistency of thick sour cream, mix with yolk, honey (1 teaspoon), salt (half a teaspoon), add 2- 3 tablespoons fresh apricot juice and apply on face for 20 minutes. The mask tones up normal and dry, as well as aging, flaccid skin. Mask of aloe juice for dry, wrinkled and flabby skin: for dry, wrinkled and flabby skin, the following mask is useful: 1 - 2 teaspoons of fat cream together with a teaspoon of biostimulated aloe juice and 1 - 2 teaspoons of vegetable oil. Stir thoroughly. Apply light, massaging movements to the wet after a preliminary hot compress face and neck for 10-15 minutes. Remove with a cotton swab. Then apply a protein mask (one protein to grind with 1/4 teaspoon of fine salt) and after 10 minutes remove the cotton wool soaked in the infusion of St. John's wort or sage, and in the end rinse with the same infusion. Ointment from aloe and petroleum jelly for the prevention of wrinkle formation: to prevent the formation of wrinkles, especially on dry skin, it is useful in vaseline or lanolin to add a little biostimulated aloe juice. The juice is added to a small jar of lanolin or petroleum jelly, rubbed, and the remnants of it merge. Masks for smoothing the skin of the neck: cut the cucumber in very thin slices, overlay their neck and fasten with a bandage or kerchief. After 20-25 minutes, remove, and lubricate the skin with cream. Peel the cucumber on the neck, cover with a piece of cloth and remove after 10 minutes. As a result, the skin will become fresh and smooth. If the skin of the neck has a darker color than the skin of the face, before lubricating it with a nutritious cream or vegetable oil, it is useful to wipe with a cotton swab dipped in cucumber juice. Peel the cucumber on a fine grater. To a tablespoon of gruel add a tablespoon of whipped protein. Apply on face for 15-20 minutes, rinse with cold water. It is recommended for oily, porous and wrinkled skin, softens and refreshes it. One carrot grate on a fine grater, mix with a teaspoon of honey. Kashitsu put on the face and neck, and after 20 minutes rinse with warm water. The face is wiped with a cotton swab dipped in cold water. A mask of grated carrots, mixed with a small amount of starch, is recommended for flabby skin. It is applied for 30 minutes, rinsed with cold water. Grate 2 fresh carrots on a fine grater, mix with 1-2 tablespoons of starch or freshly prepared potato lure and one egg yolk. Mix the mixture on thoroughly cleansed face for 20 minutes with an even layer. Wash off first with warm, then with cold water. Suitable for any skin: refreshes and smoothes it. You can make this mask relatively often. When flaccid, flabby, wrinkled skin, as well as with freckles and age spots, the following mask is recommended: moisten the juice of cabbage with a layer of cotton wool, put on the face for 10-15 minutes. Then wipe it with a wet swab or rinse with cold water. Do 2-3 times a week. Peeled raw potatoes grate on a fine grater, gruel to place between two layers of gauze, put on face for 15-20 minutes and rinse with warm water. The mask is recommended for sensitive skin prone to irritation, as well as swelling of the face, wrinkles. Smoothes, softens, moisturizes and tones up the skin. When acne, keep a similar mask for 1-2 hours. Mask from potatoes and cucumber from wrinkles: Grate on a small grater potatoes and cucumber, mix and apply on face and neck for 20 minutes. Rinse with water, adding a little lemon juice, dry it, oil it with olive oil and massage. Helps with wrinkles on the face. Берем 1ст. l. ромашки и столовую ложку листьев крапивы, засыпаем в емкость в соотношении 1:1 и заливаем полстаканом кипятка. Делаем отвар на водяной бане (20 мин.) Процеживаем отвар, используя марлю. Полученную жидкость оставляем, она еще пригодится. Оставшуюся кашицу слегка отжимаем, вливаем в нее 1/3 чайной ложки кедрового масла и перемешиваем. Полученную кашицу, применяем в виде маски.